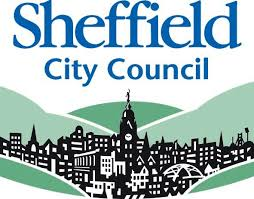 IMPOWER have been a strategic partner of Sheffield City Council Adult Services since 2014. We have helped the department transform during that time, including developing a business case that identified £10.3m worth of savings. As part of implementing the business case, in October 2015 IMPOWER were commissioned to demonstrate the effectiveness of using behaviour change tools to deliver demand management benefits in adult social care. The business case had proven that influencing the customer journey at each step to increase independence, rather than route towards high cost care services, offers a significant opportunity to both save money and improve outcomes. Most of the demand is driven by human behaviour and decisions (from a mixture of users of services, carers, Council staff and partners). This project was focused on changing the high impact customer journey areas and demonstrating that behaviours and pathways can be changed. Working alongside Council staff, IMPOWER focused on three areas; Information and Advice, Initial Contact and Reviews and Reassessment, to develop, launch and monitor a of number of tools and behavioural trials. Information and Advice: Re-working the two key documents that signpost to the service according to behavioural science good practice. We restructured and rewrote the documents to promote a greater focus on independence and self-service, reducing the reliance on Council provided services, and high cost contact points within the Council for information. Initial Contact: Placing adult social care, safeguarding and Occupational Therapist experts with the Adult Access team, to join customer calls at the first point of contact. This was focused on the twin benefit of optimising outcomes for clients at initial contact, and improving relationships and knowledge sharing between Call Agents and adult social care. Reviews and Reassessment: Changing the letters sent to clients and carers to appropriately prime them for discussions around increasing independence. Across the areas we also used behavioural science coaching for managers and front line staff, to help them set appropriate defaults and norms and use solution focused and independence centred language. Although only in place for a short period during this project, the impact of these interventions was significant. Reviews and reassessment: The behaviour insight-driven approach in Reviews and Reassessment has become the main thrust of the change and savings approach in 2016/17 in both Older Adults and Learning Disability services. IMPOWER continue to work with Sheffield City Council to support and enable the acceleration of change activity to realise the £10.3m of savings through the programme business case.